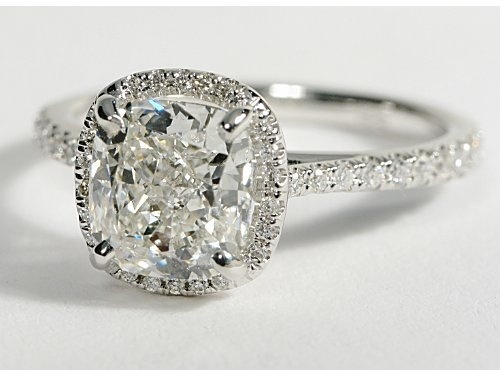 I saw this ring today on Pinterest, and just couldn’t resist… I had to share it in its two carat cushion cut floating micro pave halo glory! Consider it a Thursday afternoon gift, from me to you! Well… a gift from Blue Nile, to Pinterest, to me, to you!